Nærøyfjord is one of Norway’s smallest fjords and listed as one of Unesco’s World Heritage Sites. It receives many tourists each year that do the “Norway in a Nutshell trip” however not a lot of people get to stay there because there is almost nowhere to live. However, we were lucky and managed to stay at a prime spot next to the calm waters and steep walls of this outstanding piece created by Mother Nature. The next morning after a good (and very quiet!) night of sleep, we start our hike up to Rimstigen. We gradually climb through some meadows and finally enter the birch woods, glad to be out of the sun and in the shadows as it’s incredibly hot today. But once in the woods, the real work begins, because climbing 700 meters in less than 3 kilometers means hiking steep. Incredibly steep. We had no idea until actually trying it. As I was pretty tired from the weeks before and recovering from a jetlag of my previous trip to Canada this expressed itself in my legs. They just did not want to move up in the pace I wanted. I assume fellow hikers will know what I mean, sometimes they just don’t want to go, no matter how hard you try. At 500 meters above sea level I was ready to give up, I just couldn’t go any further. The heat nearly killed me. However the view is stunning and after giving myself some pep talk I know I can do it. The way further up is actually less steep and gradually flattens out, reaching a muddy track where the snow has only recently melted. Eventually, we reach Rimstigen at 725 meters above sealevel, two hours after we started our hike. 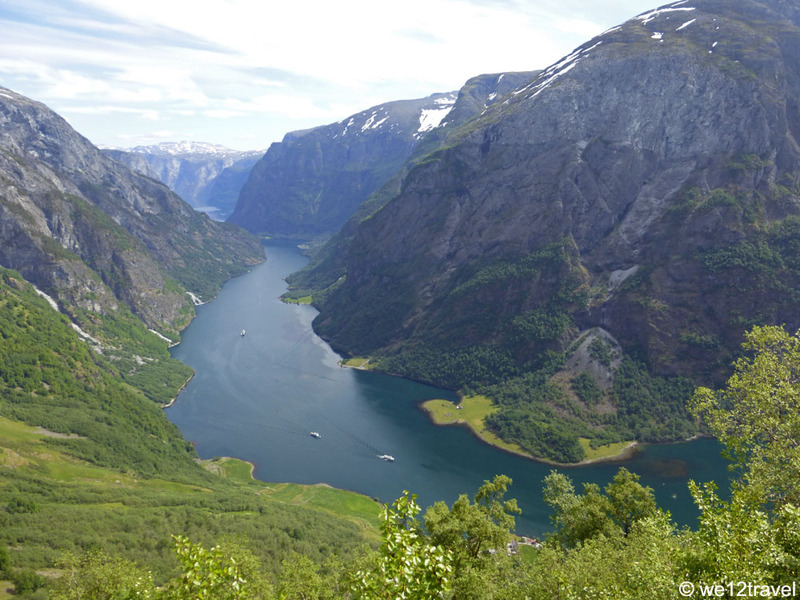 I finally dare to look down over my shoulder and find a beautiful panorama into the Nærøyfjord. The view is simply stunning, the water is blue, the mountains are green and the sky is a various palette of colors. I sit down while I regain my breath and don’t even dare to think about the way down which will be fast but tricky. I remember the owner of the cottage saying “yes, it’s very easy” … How I wish we would have a cottage like that and be able to practice this hike every week. This hike eventually took us half a day and is a good alternative for those who don’t mind to work hard but can’t go all the way up. The Rimstigen hike is usually open from the beginning of June and even though you don’t get to the highest point in the mountains, there is still a great lookout from the ridge. While in Norway we stayed at Dyrdal Gard. Our stay here was not sponsored but we mention the link as we would like to recommend everyone for staying here as it’s just an exceptional place. Please get in touch with the owner for questions! 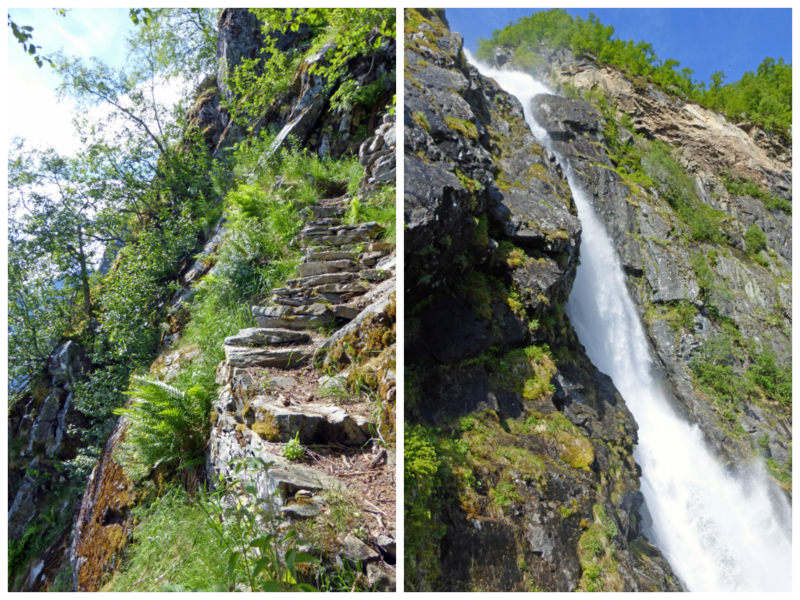 What is the most surprising hike you did when you were traveling in Norway? I love the second last photo – it has such depth. Such beautiful scenery, and especially for hiking. Your posts of Norway are just lovely. Lovely photos – I think this trek would be worth every drop of sweat and an early morning wake up. It’s interesting thinking about what you wrote: “the abyss is really steep, if you fall, you will not make it,” as a hiker must confront that reality which is only a few feet away at many points. Thankfully, most of us have made it and can share the pictures to prove our efforts. Such an amazing hike Anto. 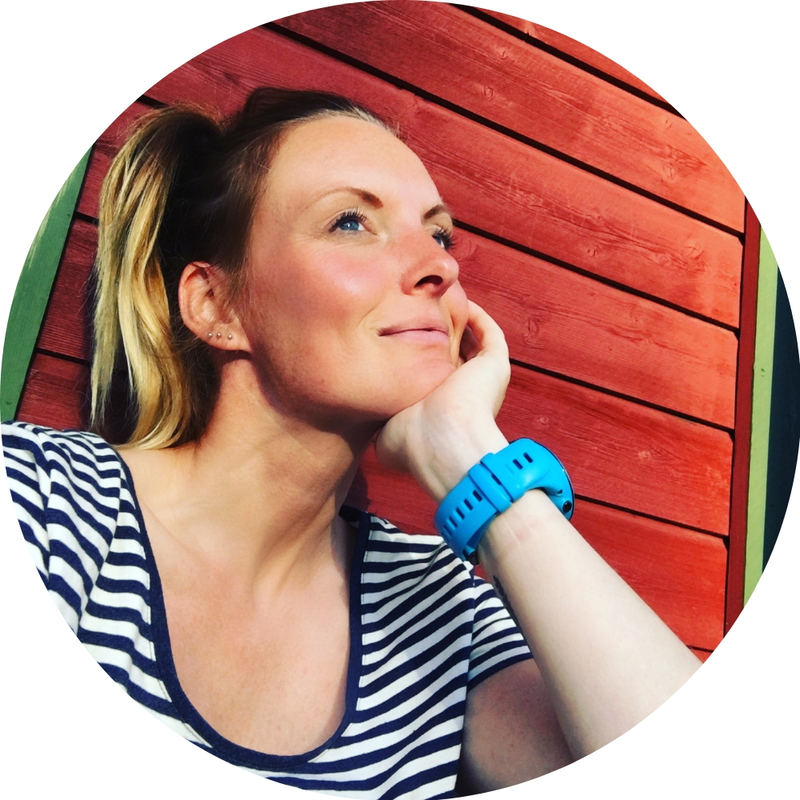 I would love to get some more tips from you as I’m planning a Norway trip for next year. 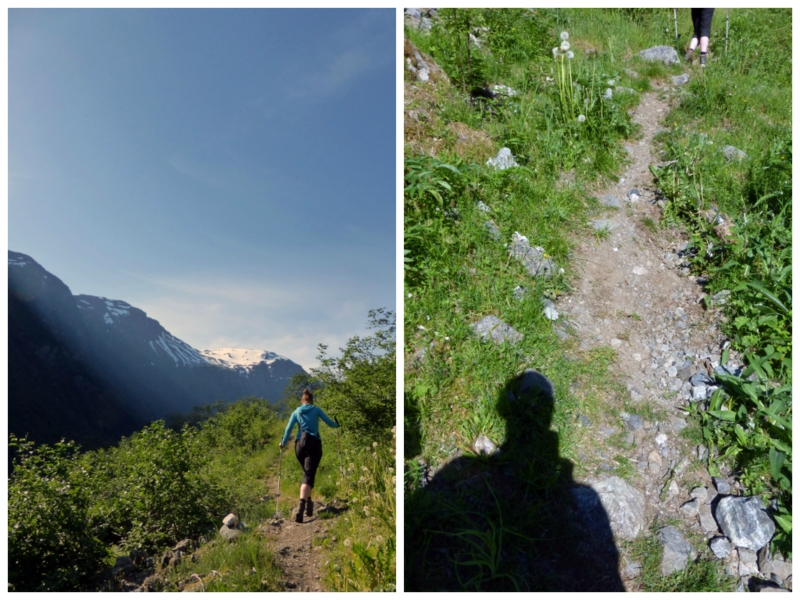 I can relate with what you said about jetlag affecting your hiking… I experienced the same thing in New Zealand. Beautiful pics, I especially love the first one. Breathtaking photos! I can understand why the hike was so worth it – that view is incredible. I’m glad that you pushed on through and made it! That doesn’t sound like much time to rest in between trips, so I can understand why you were tired. But, happy that you did this hike and are able to share it with us! wow Norway looks so amazing! I can’t wait to visit one day. That hike has some amazing scenery- I’m sure it was worth the steep incline! Nærøyfjord looks like such an amazing fjord to explore. In fact, just like the rest of Norway it is such an appealing destination that I can’t wait to get there and experience this for myself. Hiking around this part of the world with such stunning views and scenery is a must in my opinion for any aspiring travelers! Wouw, dat ziet er toch echt geweldig uit! Ziet eruit als paradijs. Thanks Bex, the views were stunning indeed! Great post and beautiful pics. Thanks. Plan on doing this in Sept. Check out my Arizona hikes on Youtube on channel Roy V Carter. What a difference. My daughters and I hiked this trail July 2016. It was overcast and rained at times. It took us 3 hours to get to the top. We camped near the sign. We trekked down the next morning in slightly over 2 hours. The trail is steep but the views are incredible. Oh wow camping there would have been awesome. Yes it’s steep indeed but the trail is great and the views even better. Thanks for sharing your experiences with us John! Unforgettable landscapes of a wonderful country of Norway. Litteraly finished this hike 20mins ago. 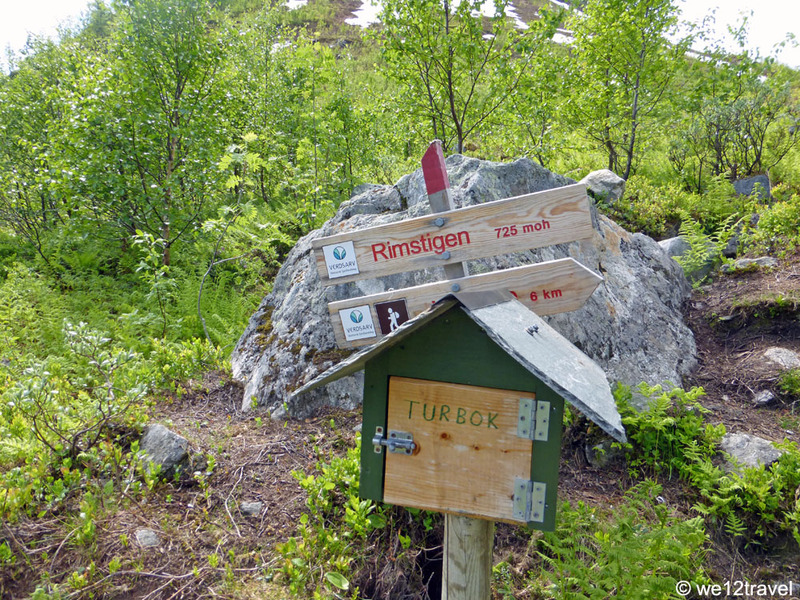 We are in gudvangen for the day and were looking for some hiking nearby. Somehow I stumbled over this post and we decided to do this hike because it seemed incredible. We don’t have much hiking experience but the blue trails felt a bit thame. Boy was this trail different. It took a lot of effort and willpower but we got to the top. And what a view! Not just the fjord but also the valley on the other side. It really is stunning. For anyone wondering. We are 2 25’s year olds in normal shape. Took us about 2,5 hours to get to the top and 1,25 to get back down. It’s a 100% worth it. Yay, so nice to hear! Yeah it’s quite a strenuous trail but so much fun 🙂 I went back to Gudvangen last week but the road up to the hike was closed, so we had to skip it unfortunately. Hopefully next time, I’d love to go back again one day. I hope you enjoyed Norway! Are we able to walk up the road to this trail? We are in gudvangen for the next 2 days and would love to hike this! Ehm it’s a few kms from Gudvangen, not sure if you can walk because the drive goes through a tunnel, but I’m sure someone can give you a ride, it’s not very far from town. Enjoy! There’s actually a blue trail next to the water. Its about 4km and very doable.